This morning we had a bit of fun. And while it isn’t the best video in the world, it IS, after all, a video of moi! woo woo woo! She puts a finger on top of my paw and it drives me nuts! Rumpy you’re tail is just so irresistible! LOL, when you barked, Blossum woke up and looked really surprised. It was fun seeing you in action! Your eyes! Rumpy, they are mesmerizing! My cat bro Bert does that to my sister Katie’s tail, it is so funny. Poor you being terrorized like that but it looks like you had fun! You could always put your paw on her hand or food. Oh Rumpy. Molly is sure you are one of her long lost brothers! 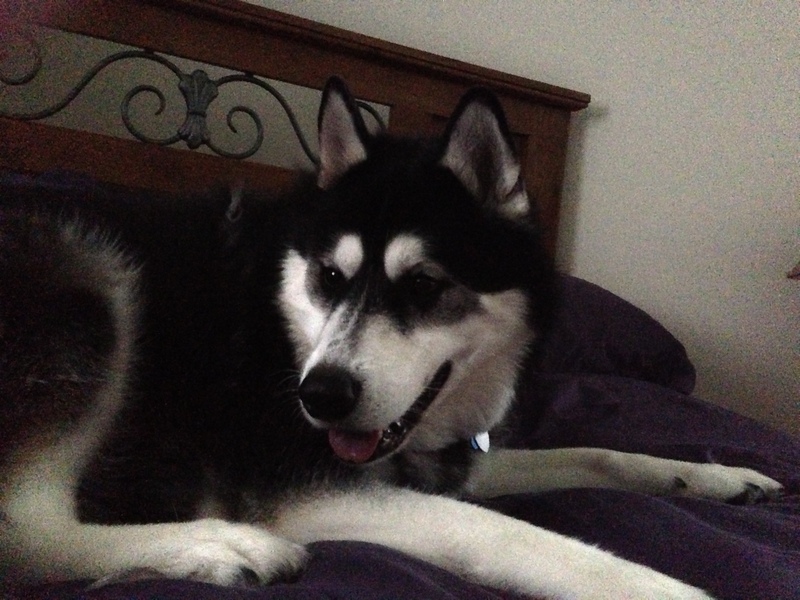 Such a lovely smile and tail…only you get to sit on the bed….she has to sneak on the couch. Typist was playing a similar game with her cairn last night! What are they like! I did! Thanks for sharing my post!!!! I don’t post that stuff much because its so hard to get a decent video while playing…… But occasionally I guess you will tolerate the poor quality. I LOVE dogs’ smiling mouth and that softness in their eyes when they have fun together with their mom! These things are so special! Beautiful videos!